Shawn Mathis: It is naïve to think that laws and political parties and sound-bite arguments can keep a divided culture together. Dallas Police Chief David Brown speaks at memorial service for five slain officers. Thus spoke Bishop Dudley while interviewed on the O’Reilly Factor a few weeks before the final verdict in the Brown shooting. Anger, frustration and chaos boiled over the city of Ferguson for days. Then there were the sympathizing protests across the country, only to break out into more trouble with the death of Garner in New York. Now, after the shootings in Minnesota and Louisiana, more protests arise and then the slaughter of police officers in Dallas. Then Baton Rouge caught us off guard. Bishop Dudley may have pointed us in the right direction: suspicion. He is suspicious of the police’s interpretation of the facts. I certainly do not know how widespread this reasoning is in America, but these responses are illustrative of a nation divided by mutual suspicion. Too many peoples and groups are suspicion of each other. From political liberals to libertarians, rich, poor and various minorities, many are suspicious of each other, whether for good or ill.
And considering that the full facts of the latest police shootings are not available, are not many of the protests evidence of suspicion? But whence the source of these suspicions? There are certainly many valid reasons to be suspicious: there is racism, there is corruption, there is injustice in America. Politically and culturally, the causes run deeper: we are a divided nation. The last fifty years is a history of growing division along many cultural and political fault lines in America. It suggests that one nation under God is really many cultures under many gods. And that is the breeding ground of mutual suspicion. How can people who believe in the sanctity of life at conception trust others who wish to expand the right to murder? How can people who believe in the sanctity of heterosexual marriage trust those who redefine marriage? How can those who believe freedom is defined by God’s law trust those who believe freedom is absolute? They cannot. And that is only natural. As the old adage states, birds of a feather flock together. Unfortunately, many people on many sides of many issues are unaware of this. They think—classical liberals, libertarians, conservatives and the like—we can all agree to get along whenever one of the opposition is in power. And that, somehow, we can stay America regardless of our view of murder, marriage and freedom. But we cannot. And the Progressives know that. The conflict has been going for decades in the churches and schools, only now manifesting itself in the courts and even in the law profession. It is naïve to think that laws and political parties and sound-bite arguments can keep a divided culture together. At this rate, America is only staying America because of an enforced top-down approach to cultural unity. And that just compounds the problem. If America wishes to overcome the suspicions that are growing, it will require enough people to agree upon basic issues such as the definition of life, marriage and freedom. 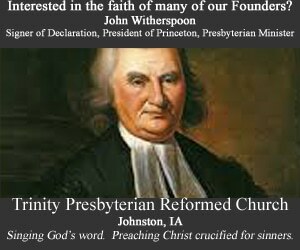 At one time we did: that was when we considered ourselves a Christian nation. We are no longer such a nation. We are quickly mutating into a version of a scientific paganistic nation: science (technology) is the glue that holds together disparate cultural gods such as liberalism, materialism and socialism. For America to move forward and deal properly with the anger, the killings and the protests, we have to deal with suspicion. And before we deal with suspicion, we have to acknowledge that there are significant and irreconcilable differences at the foundation of our nation.